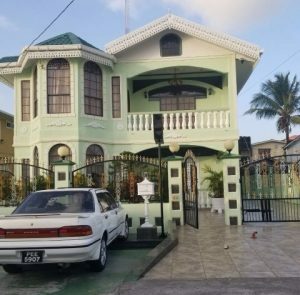 Agents of the Customs Anti-Narcotics Unit (CANU) have arrested two persons, including a husband and wife, in separate raids in Georgetown and Berbice, the agency said Tuesday night. At Craig Street, Campbellville, CANU said it Tuesday afternoon searched a house Craig Street, Campbellville where 992 grammes of suspected cocaine were found. 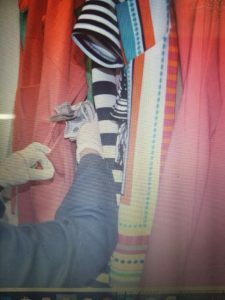 A quantity of cash, jewellery and other valuables were also seized. Andre “Zipper” Gomes and his wife have since been taken into custody to assist with the probe. At Corriverton, Berbice on Monday, CANU agents said they seized a quantity of counterfeit United States currency and a bullet proof vest. The home of Andre “Zipper” Gomes where CAN agents said they found a quantity of suspected cocaine and other items of interest.